THE PENGUIN FAMILY IS VISITING PARADISE! 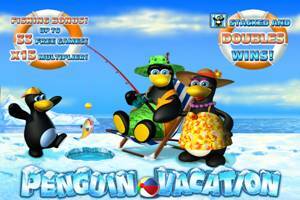 Join Pa Penguin, Ma Penguin, and Little Penguin on their annual vacation. Take tourist photos, go fishing in our Fishing Bonus, and have a blast of a good time while earning free games and multipliers. 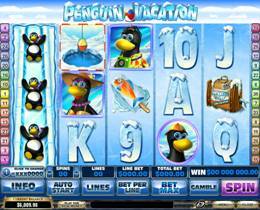 The player enters, having already won 8 free games with X2 multipliers. 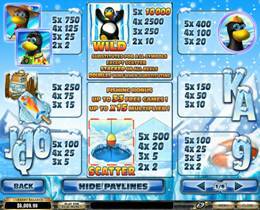 The player then fishes twice for extra Free Games or multipliers. Up to 33 Free Games! More Free Games can be won, infinitely.